Following the tradition of last five years, Manick Sorcar's art exhibition as a part of the 10th Annual - 2011 Arvada Art Studio Tour, will be held at his 2,800 s.f. studio at 14565 West 58th Place, Arvada, CO 80004, on September 24 and 25, 2011, 10 AM to 6 PM. The theme of the show is "Images of India in Many Media". It is open to public. 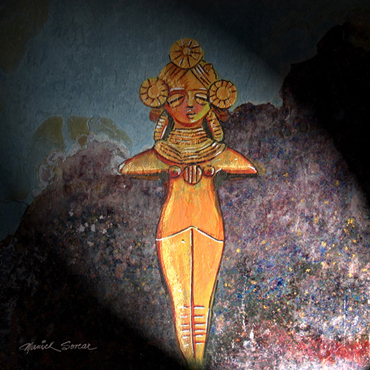 This year's main attraction are the slate and tile paintings of Manick Sorcar of the icons of the Indus Valley Civilization, Harappa Mohenjo-Daro era (2600 B.C.) and the statuettes found in the Temple of the Sun, Konark (1250 A.D.). Painted on rustic Indian slates, these illustrate the vibrant culture of India that existed in ancient India. 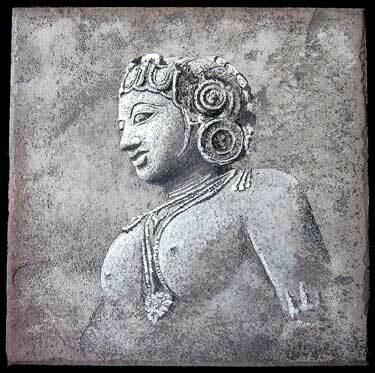 The unique arts are all based on the discovered engraved seals with animal figures and pictographic scripts found in Harappa, the terra cotta figurines, bronze-statues that were found in Mohenjo-Daro to the life-like stone statuettes discovered in the Sun Temple. 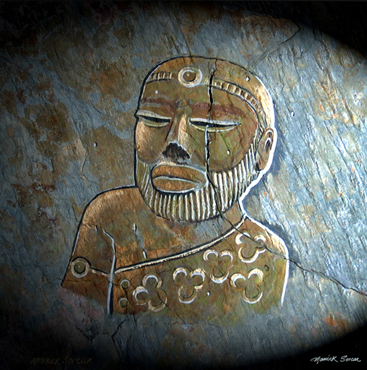 The visitors will also get a glimpse of Manick's traditional and contemporary artwork of other images of India. This includes tile collages, acrylic on bamboo trays, portraits of Hindu Gods and Goddesses crafted with spices and grains, digital art of scenes of India, etc. Manick Sorcar invites school children accompanied by their teachers or parents to this special art exhibition. They are most welcome to take the tour, ask questions, take down notes, but no photography (still or video) allowed. A limited quantity of signed copies of "World of Manick Sorcar Where Art Becomes Magic" by Roma Sur (Foreword by Patrick Murphy, ILDA), and "East Meets West: The Animation of Manick Sorcar" by Wendy Luna (Foreword by then Denver Mayor John Hickenlooper) will be available at the studio.